Moto Designshop is an award winning contemporary architecture and design practice. The firm’s diverse culture, interests and experience provides a broad platform for the delivery of unique projects across a broad range of scales and disciplines. With exceptional skills in visualization, a rich understanding of construction methodologies and a fundamental interest in the culture and context of each project; Moto continues to create work which is well crafted and timeless. Established in 2003, the firm grew out of an independently funded design/build and real estate development company. These modest beginnings allowed the studio to adapt to limited budgets and respond with design efficiency. It is our belief that design value is found in how you design with -and- augment the qualities of the available. Moto’s projects are guided by a devotion to highly detailed and well-crafted timeless design. It is this devotion that ensures that whatever theory or concept is explored, the final physical resolution and spatial experience of any given project is never compromised by the ebb and flow of style. 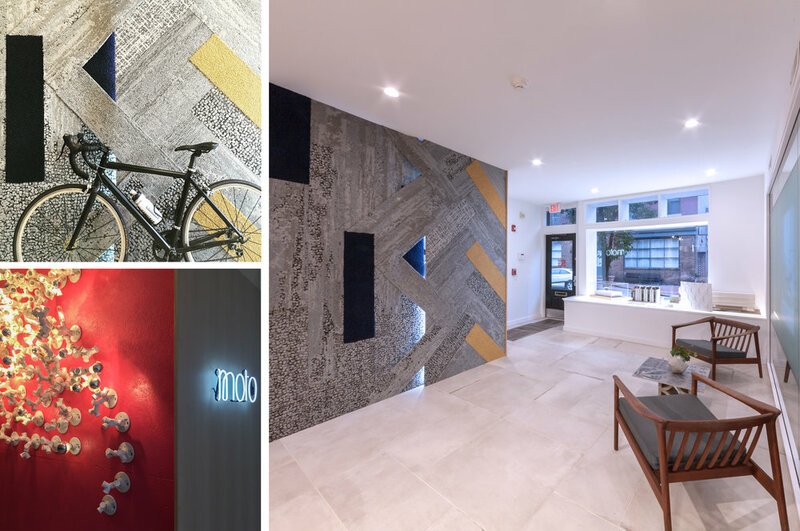 Moto’s projects have appeared in various national and international publications, and their design efforts have received notable honors including the Philadelphia Emerging Architecture Prize, several Builder’s Choice awards and have been recognized by the AIA with multiple honors, merit and ‘Divine Detail’ awards. In 2010 Moto Designshop was chosen by an international jury and Wallpaper Magazine to a selective list of 30 international firms producing innovative work. Over the years we have been fortunate enough to recieve peer and critic recognition for several of our projects. With each new design challenge that comes into our office, we look for opportunities to make it the very best we have produced. Below is a list of recent awards and accolades, as well as an abbreviated list of major publications we have been featured in.